Water is one of the essential ingredients in both life and camping. Adults require at least two liters of water to replace lost fluid every day. Weighing more than eight pounds a gallon, it’s no fun trekking in water for one person let along a large group. Pump filters and drip filters are a great alternative to lugging water storage containers to remote campsites. Most pumps weight less than 12 pounds and have a capacity to filter enough water for groups of six or more campers. 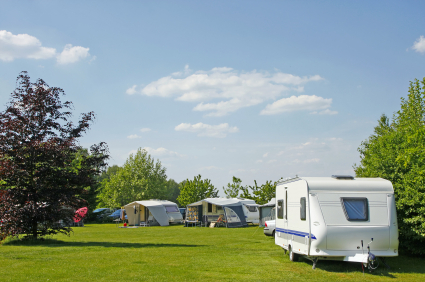 Base camps and cabins offer all the amenities a camper needs. Having a readily available source of purified water is important for solo campers and group expeditions. On camping trips, it’s always fun to plan day activities and return to the base camp for some fun, food, and well deserved relaxation. When it’s time to cook dinner or fill-up the portable hydration bladders, it’s inconvenient to use a hand-powered filtration pumps. Fortunately, there are large-capacity, gravity-fed drip filters that take all the work out of purifying water. Gravity-fed filters start at approximately $70. Katadyn‘s Base Camp model is an affordable, portable, large-capacity water filter that is great camping in the backcountry and sites without vehicle access. The Base Camp model is essentially a waterproof bag designed to emptied and refilled between campsites. The 2.6 gallon water bag simply straps around a tree and uses gravity to filter water that is manually released through the flow valve. Using a HikerPRO filter with activated charcoal and AntiClog technology, the Katadyn Base Camp removes all types of disease-causing pathogens larger than .3 microns. The gravity-fed filter has a 200 gallon capacity and processes one gallon of water in less than 10 minutes. Replacement glass-fiber filters cost approximately $40. For camping and hunting cabins, RVs, families, and groups of six people or less, Katadyn’s Ceradyn and Gravidyn drip filters are an ideal choice. The Ceradyn and Gravidyn are essentially the same model of countertop water dispenser, however, the filter technology varies slightly. Prices start at $220 for the Gravidyn, which uses a ceramic and activated carbon filter. The Gravidyn filter has a maximum life of six months. The Ceradyn model, which is priced at $250, includes three cleanable ceramic depth filters. The Ceradyn system has a capacity of 40,000 depending on the water quality. Replacement filters for the Ceradyn cost approximately $69 and each unit requires three filters. The system housing measures approximately 18″ tall and includes two 2.5 gallon reservoirs. The filters and unfiltered water reservoir sit above the cistern and pure water dispenser. Drip filters produce one gallon of pure water every hour. Although drip systems are slow, the Ceradyn and Gravadyn have no moving parts, which makes them one of the most reliable options available. When unfilled, Katadyn’s drip filtration systems weight less than ten pounds, making them highly portable despite their large capacity. Unlike other water purification systems that only remove bacteria and protozoa, the Sweet Water filter by MSR is designed to be used in conjunction with a chlorine solution that kills viruses. The Sweet Water uses a multi-stage filtration system that includes a $10 replaceable stainless steel pre-filter, $20 replaceable Silt Stopper sediment filter, $45 carbon filter cartridge, and $10 chlorine solution. In 2009, MSR’s Sweet Water Purification System won the editor’s choice award from Women’s Adventure Magazine for its effectiveness, effortless use, and purity assurance. The Sweet Water includes an easy-fill bottle adapter and smart leveraged pump handle that filters one liter per minute. One quart of pre-filtered water can be treated with five drops of MSR’s Sweet Water Purifier Solution in just five minutes. The replaceable Sweet Water carbon filter has a 200 gallon capacity. Water purification leader General Ecology manufactures the First Need brand of high capacity water purification systems. The company’s advanced filters can fill a standard sports bottle in about one minute. First Need is the only non-chemical purification system approved to eliminate all types of water-borne pathogens, including viruses. First Need’s proprietary filtration system has a capacity of 125 gallons. The First Need XL Portable and Deluxe XL retail for $99-$125 and replacement filters cost about $50. The XL Portable can produce enough water for a family or small group faster than competing models. For serious camping expeditions and large groups, the First Need Base Camp model is the best choice for a lifetime of pure water under the most rigorous conditions. The Base Camp unit is made from indestructible stainless steel and includes a pre-filter, intake strainer, and backwash tube for cleaning in the field. The pump-powered Base Camp unit retails for approximately $675 and the 500 gallon capacity filter costs approximately $90 to replace. The Base Camp unit has a household faucet that outputs approximately two liters of water per minute depending on the manual pump speed. The ultimate high-capacity, high-end pump-filter is the $1,200 Katadyn Expedition. The Expedition is setup just like a bicycle pump with a vertical mechanism and handle. The efficient ceramic depth filter system eliminates all types of bothersome microorganisms that cause water-borne illnesses. The Expedition has an output of one gallon per minute and the filter has a capacity of 26,000 gallons. The ceramic filter element is designed to be cleaned in the field. If a replacement filter is ever needed, they retail for about $200. The Expedition is an ideal choice for large groups, camping excursions, and outdoor tours. hi,could you please tell me which is the best system,portable,for not only filtering out harmful bacteria,chemicals but flouride.